Benjamin Franklin once said, ‘Failure to plan, is planning to fail.’ Everyone knows that its good advice to write a plan when you are embarking on a project of a particular length. Yet many of us don’t know where to start and quickly get too busy to set aside the time to commit anything to paper, let alone get something implemented. The truth is that a good plan can help you to identify objectives, milestones and breakdown deliverables, which the project can then be measured against. It frees you up to concentrate on the things that really will make a difference, helping you bring people together to achieve better performance and greater efficiency, giving you much better control of what you are doing. All of these points, and much more will be addressed within our upcoming Firm Foundations Programme. Cornwall Museums Partnership, Cornwall Council, K2 Funding and Tate St Ives have launched this new programme, which has been created with the help of the Heritage Lottery Fund, especially to support to help heritage organisations across Cornwall to successfully deliver heritage construction projects. Guest Speaker, Tamsin Daniel, Culture Programme Officer at Cornwall Council will be hosting a session dedicated to setting your project foundations. Tamsin will discuss key topics within the planning process including project objectives and business planning, deliverability, viability, managing sponsors and stakeholders, building partnerships and post project management. Delegates can expect to walk away from the session with a better understanding of how to plan for success and how to survive the process. Tamsin Daniel has many years of experience delivering projects within the cultural sector and supporting organisations through the process. She has been responsible for securing millions of pounds of investment for Cornwall and most recently, has managed two phases of redevelopment at King Edward Mine, bringing derelict Grade II* Listed buildings back in to economic use as work units, a café and new exhibition space. Tamsin is a member of the culture team in Cornwall Council’s Economic Growth Service and she is also a member of the Heritage Lottery Fund’s South West Committee. 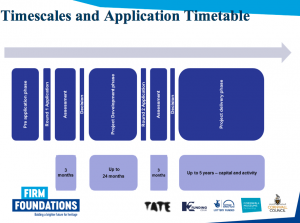 For more information on the Firm Foundations Programme please click here. Alternatively, you can email yiota@cornwallmuseumspartnership.org.uk or call Cornwall Museums Partnership on 01209 500 750. Good governance – why does it matter? Charity governance and fundraising have been in the spotlight recently, and not for good reasons. The Charity Commission for England and Wales has published a report of its inquiry into a charity that supported hospices. Amongst its findings it found that there was poor governance, financial mismanagement, that the trustees hadn’t acted in the charity’s best interests, and that they failed to manage the risks or comply with their legal duties and responsibilities. The result was that a once healthy charity was no longer able to support its work in the community. A further report from the Charity Commission goes on to cite that poor governance is often at the heart of the problems they tackle in their regulatory role, specifically a lack of strategic planning and oversight – which are often viewed by charities as ‘optional extras’. To help combat this, a coalition of organisations, including the Charity Commission, ACEVO and the Small Charities Coalition have come together to consult on a new Charity Governance Code. As Rosie Chapman, Chair of the Charity Governance Steering Group says “The case for good governance of charities, led by committed and engaged trustees, with an understanding of their role, appropriate skills and an ability to lead has never been clearer”. So why does any of this actually matter – how does this help me and my charity? A well-governed organisation will find it easier to comply with the law and meet its aims. Using the code will help you develop good governance, whether you are starting from scratch or reviewing where you already are. Using the Code will also help you demonstrate to funders and supporters that you take good governance seriously. Serious about Good Governance? Cornwall Museums Partnership is delivering the first of a number of workshops aimed at improving governance on the 8th February at Cornwall’s Regimental Museum. These full day workshop can be booked online here. Posted in BlogLeave a Comment on Good governance – why does it matter? From Orkney to Cornwall, communities across the UK are celebrating the scientific heroes on their doorsteps with the help of the Royal Society’s Local Heroes scheme. Lawrence House Museum has secured funding for a project From Bodmin Moor to Neptune that explore the legacy of John Couch Adams, a local hero who co-discovered the existence of Neptune through calculations made whilst studying the moons around Uranus. The scientist was also known for his interest in the mountains on the moon, comparing them to the hills of Bodmin Moor. Lawrence House Museum will introduce the life and achievements, of this significant local scientist to a new generation in Launceston. Creative activities will give the young people an opportunity to enjoy the story aspect of our science hero, as well as to consider the importance and impact of his discoveries, interests and methods. Further research into his life will be undertaken by local scientist, educator and Adams expert Malcolm Wright for a monograph. Led by Dr Joanna Mayes the project aims to engage local communities with science through creative activities, and to understand and enjoy their local heritage. Dr Tehmina Goskar hosts our first guest blog on our new website. Tehmina is leading Cornwall’s Change Maker programme, which is a flagship scheme of Arts Council England, intended to diversify the senior leadership in the museum sector and inject new ways of thinking into cultural organisations. 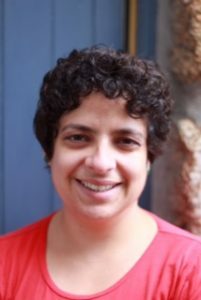 Tehmina is a highly skilled curator with 16 years of cross-sectoral experience in creating, planning, project managing and delivering exhibition and collections projects, on a variety of scales and budgets in museums, archives, libraries, higher education and voluntary sectors. In this post, Tehmina explains her experiences of working with Change Makers programme, and what the training entails. “Adjusting to the Change Makers programme has been a joy and a challenge. What an opportunity, to have your own personal professional development supported so generously and with a view that by the end of the programme I might be considered leadership material by my peers. I feel even more privileged, if not a little daunted, to be working in Cornwall whose own diversity is unique when compared with other regions, not least given official recognition of the Cornish as a National Minority. The timing of the Change Makers programme has therefore come at the right time for me and for the museums and organisations I will be working with over 18 months. The challenging part is that I earn a living from freelancing. I specialise in strategic curatorial development, open knowledge, policy intelligence and research, and diverse-led audience development projects. That means my calendar looks mad most of the time and I am going to be ultra organised to undertake the ambitious leadership programme we have developed together. Comprising a formal leadership course (outside the arts sector), certification in facilitation, personal coaching, CPD, critical study visits abroad, and the achievement of the Fellowship of the Museums Association. Joining their Senior Leadership Team, contributing to strategic decision-making in the role of Lead for the development of its Bicentenary Programme in 2018. With particular emphasis on social inequalities in the arts and cultural sector in Cornwall. In addition, I will be providing the Partnership with an opportunity to review policies which impact upon diversity and inclusion and setting up a national Rural Diversity Network for Arts, Culture and Heritage. Apart from planning my leadership courses, I have focused my activities on getting to know my new colleagues at the Royal Institution of Cornwall. This independent charitable trust runs the Royal Cornwall Museum and the Courtney Library. It’s been a steep learning curve. How do you go about developing a radically different feeling programme for an organisation that has been around for 200 years and has become used to certain ways of doing things? My greatest pleasure so far as been in having the opportunity to better understand its collections. Like any museum, their collections are what makes them unique – as a window onto the world for Cornish people and as a window onto Cornwall for our millions of visitors. Most of the staff, volunteers and trustees I’ve spoken with feel that there is just so much more potential in the work we can do with the collections and the knowledge and stories they hold. To find out more about the Change Makers programme, please email info@cornwallmuseumspartnership.co.uk for more information. A special training programme aimed at supporting museums has been launched in Cornwall. The Cornwall Museums Partnerships has announced the start of the second phase of it’s Catalyst Skills Training Programme, which will support heritage organisations across the county. The Catalyst Skills Training, which is funded by the Heritage Lottery, has been designed to help museums in Cornwall to survive and thrive in turbulent economic times. The training will offer practical advice and help communities to come together and create a strategy for the future. The programme has been created to specifically help Heritage organisations, of all sizes, who are facing potential financial difficulty, and are looking to create a long term plan to aid the sustainability of these institutions. Cornwall Museums Partnership is helping to ensure these establishments are around for future generations through this training. “The strength of Cornish communities is in their unique heritage and culture. Museums bring communities together and attract millions of people to visit Cornwall every year. The programme will be officially launched at the Cornwall Museums Group meeting on Tuesday 13th December, 2016 taking place at the Bedruthan Steps Hotel and Spa. Training sessions will commence in January 2017, with workshops being held at venues across Cornwall throughout the year. It is available to all heritage organisations in Cornwall. To find out more about the full range of subsidised workshops available and to book, visit www.Cornwallmuseumspartnership.org.uk or please call Cornwall Museums Partnership on 01209 500750.